Hello it's Kate here today. I made the background using distress ink, gold water colours , water and gel pens. I hope it looks wintry. Once i blended the distress ink i splashed with water and then dabbed the water off. The splashed the gold water colour paint. Once it was all dry i added some random various sized dots of gel pens. 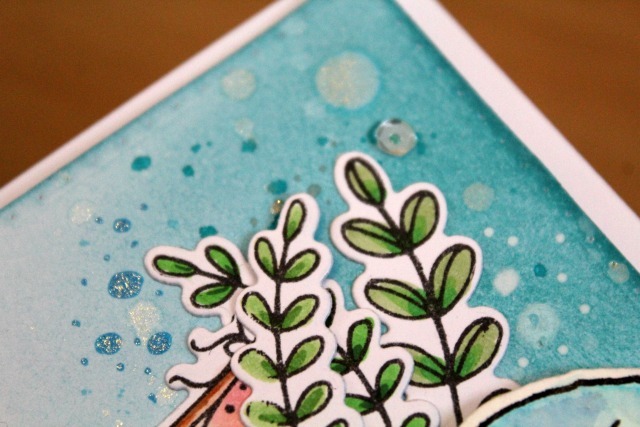 The leaves and banner were stamped onto the die cut piece of card then coloured with copics. 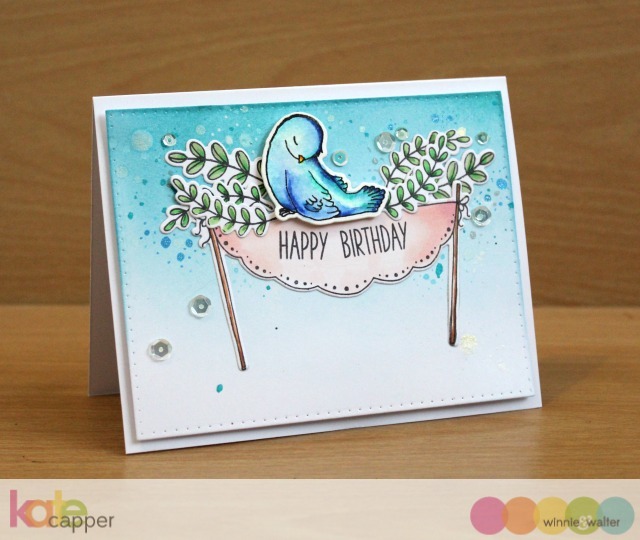 The bird was stamped with black archival ink on water colour card and coloured with zig clean color pens. The bird has a sparkly finish as I still had plenty of gold on the brush when I used it to colour. The finishing touch was some sequins. There are lots of little touches of shimmer and shine that my camera didn't want to pick up. Beautiful colors and Happy Birthday!!! 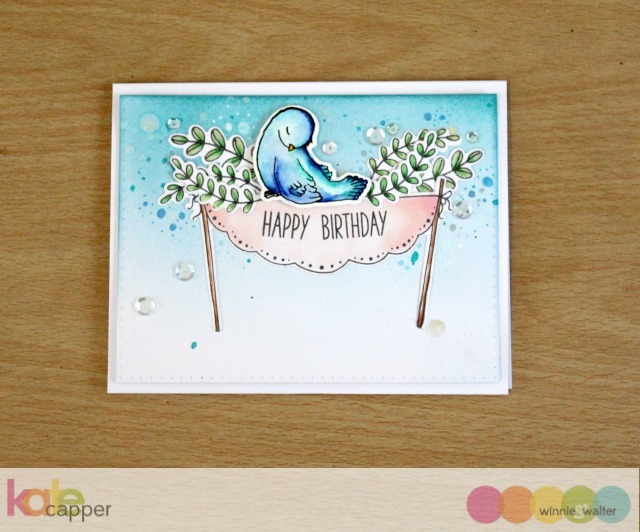 A beautiful card Kate! Have a wonderful birthday! Happy Birthday Kate. Have a wonderful 2017 with lots of beautiful card making.